The All-Terrain Pallet Jack is designed to travel over rough terrain where no ordinary pallet jack can go. The tubular frame is lightweight, but strong and handles loads up 2,000 pounds. 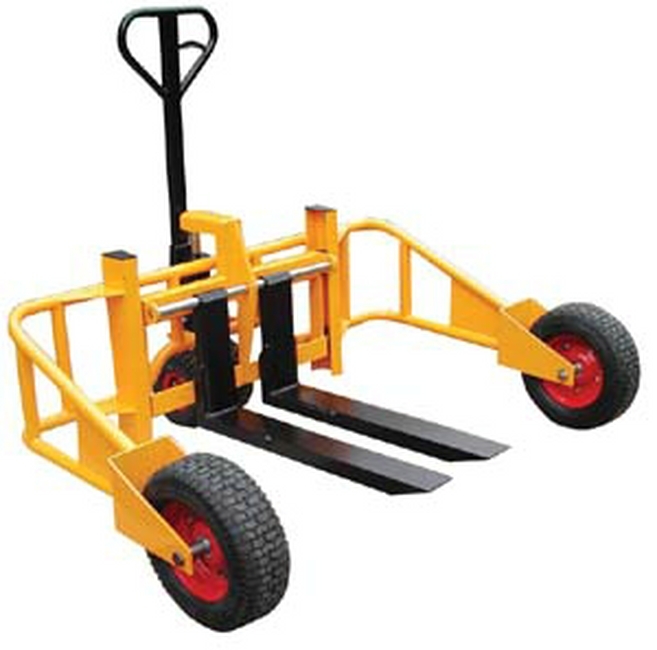 This pallet jack is used at construction sites, landscapers, and nursery professionals. Moves easily on gravel. Performance and quality are built-in for years of solid use. 17" front tires and 10" rear tires, pneumatic, for easy maneuverability, even on rough surfaces. Adjustable forks from 9.5" to 26". 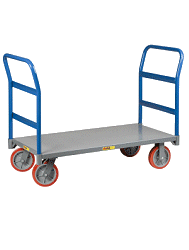 Operates like a standard pallet jack. The All-Terrain Pallet Jack is ideal for many outside uses. Order yours today!